On Monday after a fabulous ride I drove out of the stables and instead of turning left as I always do, curiosity got the better of me and I decided to go right and explore a little. 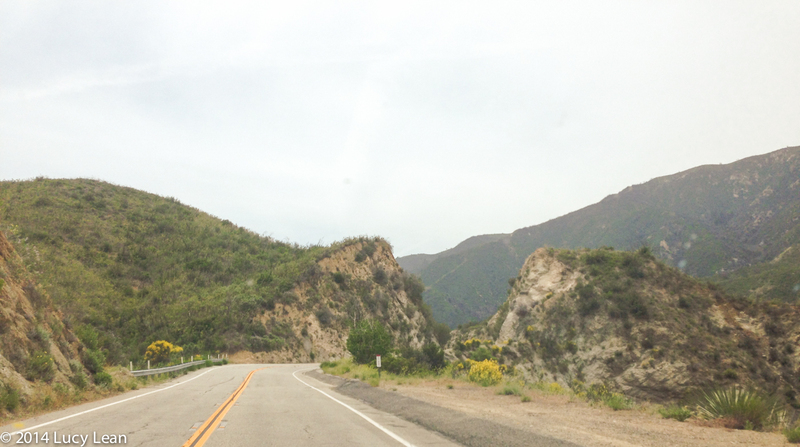 The road wound its way further and further up in to the Angeles National Forest. Higher and higher I went, desperately concentrating on the road and keeping my vertigo in check – I feel it deep in my tummy if I drive along a road and there’s a sheer drop of thousands of feet below. I turned up the volume of the radio – Mozart’s Piano Concerto No. 21 was playing and it was the perfect soundtrack for the majestic surroundings. The mountains are pretty stark as you get further up – less trees and lots of rocks with the occasional scrubby bush. There was a lot of evidence of a forest fire with blackened trees and hillsides cleared by giant flames from a year or two ago. What was interesting to me was the regrowth – the fire hadn’t killed everything off, plants were growing back and everywhere I looked were pops of bright yellow color. The double yellow lines of the road, the signs letting me know there were deer or that it was ICY and the beautiful bright yellow of the mountain flowers – mustard flowers, broom bushes and then pale yellow delicate flowers, that I don’t know the names. Ilse had told me they often find dumped bodies up in the mountains so I wasn’t going to stop to get a closer picture of the flora and fauna. With no cell phone reception I was completely alone – undisturbed. It was wonderfully liberating and just a tad scary. Thrilling. Not sure if it was the altitude but I started reading the ICY sign as LUCY – it was a sign, just for me! I kept driving up and up, not really knowing where I was going. There was no destination for it was the journey that was the thing. Mozart finished and Edward Elgar’s Land of Hope and Glory – Pomp and Circumstance March 1 came on the radio – for this Brit it couldn’t have been more uplifting and perfect for the moment. I didn’t breakdown, I didn’t need rescuing, nothing bad happened. It’s all good and I can’t wait to take myself on another drive. I can do a Thousand Things I’ve never done before – a road trip up into the mountains, on the road less traveled by, with the perfect classical music soundtrack, not selected just happened to be playing on the radio was just what I needed – for me. That has made all the difference. When I got home I re-read the poem by Robert Frost and was shocked to see that the first line contains the word yellow – I’d never paid this any attention before. 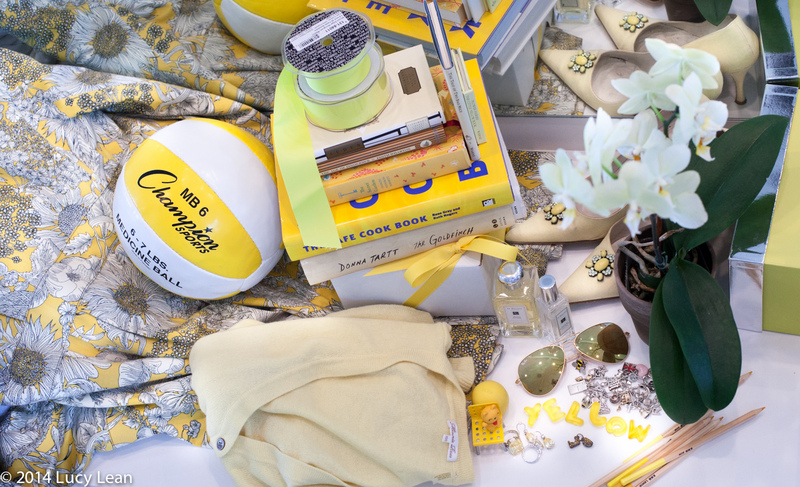 Last month it was all about THINK PINK for me – this month it’s most definitely YELLOW.